You’ve heard it, I’m sure. Whispered in the dark of night. Shouted under the bright light of day. Slithering into the desperate places of your heart. Maybe it came while you were in crowds of people or locked in your bedroom with the curtains pulled tightly shut. I’ve felt it in the deepest places of my pain and seen it echoed through my sorrows. Sometimes it slips in quiet and makes itself comfortable on the edge of my mind. Other times it is so loud I cringe as it reverberates through my life. But I hear it. Over and over. It sounds like me talking but it’s really him: the Enemy of my soul. I’m all alone in my pain. I’m all alone in my hurt. I’m all alone in my life. I’m all alone with no job. I’m all alone with no friends. I’m all alone in my marriage. I’m all alone in ___________. God left me all alone. There is a reason the enemy uses this lie over and over. If you believe you’re all alone, no one can empathize with you. If you believe you’re all alone, then no one is there to help you pick up the broken pieces of your life. If you believe you’re all alone, no one can call you to account for your sin because “they don’t understand your pain”. And if you believe you’re all alone, dear friends, no one can give you grace. I know a beautiful woman who faced a horrendous tragedy. The birth of a stillborn son. Week after week she sat in my Sunday School class saying, “I don’t want to be here but I am.” And week after week she had to fight the lie with every possible weapon. She had to choose to believe that she wasn’t all alone, even when it felt like she was. And because she was there and fought the lie, even when it felt like truth—she sat in a room full of women who “didn’t know” and grace poured over her. Something amazing happened. We hurt with her and cried with her and tasted grace together. When she was pregnant again, my heart filled and my prayers deepened. And when she told the story of her next son crying as he was born and nothing sounding so beautiful—of the doctor and nurses and her husband all crying and how she couldn’t because all she could think was he’s alive! everything in me danced. And this girl who has never buried a baby and that girl who has never faced infertility—together we’re not alone. When I reach out from my pain to offer her comfort in hers—and when she looks up from hers to comfort me—Satan’s lies are buried in an avalanche of truth. And none of us are really alone. Someone does not have to walk through the same pain to understand my suffering. And the same is true for you. We need to look out, look up– reach out our hands to those around us, and we’ll find that Satan’s lies are silenced. Thank you for this truth…I really needed this reminder! Clicked to this post through your “Three Things I Know About Pain” post today. Reading this was so well timed! Thank your for speaking truth. This is really so well said. Regardless of what we have or haven’t been through, “together we’re not alone.” It’s such a great reminder to reach out in love toward one another. Too often I remind myself I’m shy and awkward and I don’t reach out. Next time I’ll take courage in your words and step out of my comfort zone and into community. Hmm… I like the term “reach out in love”. When you think of it as Christ’s love, then its not something you don’t have (such as an outgoing personality) but something we can all possess in abundance. Such a sweet reminder. We were made to need each other. This is true community for sure. we are made to need each other <– what beautiful perspective. Thank you for this. 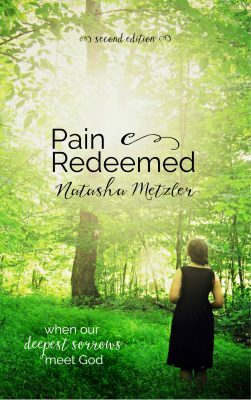 “When I reach out from my pain to offer her comfort in hers—and when she looks up from hers to comfort me—Satan’s lies are buried in an avalanche of truth.” YES! and THAT — is the very essence of community, isn’t it? a vital ingredient in the salve God uses to heal our wounded souls. thank you so much for the gift of your transparency. i found you via joy’s link up, & i’m so glad i did. Thank you for that Beth Moore quote! Yes. Yes. So perfectly said! Wow – this is incredible and so true. I believe we’ve all experienced the power and encouragement of community at some point. Actually, I’m starting a week (or hopefully 2) of guest posts about building community on my blog next week. I’d love to link to this post. Wow! I love what you shared. And I especially love the part you explained WHY the enemy wants us to believe these lies. That is so powerful! Thank you for helping me gain a new perspective! So thankful that this was encouraging to you. May you find more glimpses of community from unexpected places! Absolutely! It takes courage to stand against the lies! What a powerful post! Such beauty and truth. Your post brought tears to my eyes. I had never looked at that statement in that light before. Thanks for opening my eyes and my heart. what a beautiful reminder. we are not alone. I often heard that lie fed through the tunnels to my heart but thankfully the Holy Spirit caught it in time. when we learn to extend grace to others we learn that there are hearts ready to accept love in many languages and so the more we show grace, the less loneliness we have. so the more we show grace, the less loneliness we have <– this. this is so perfectly said. 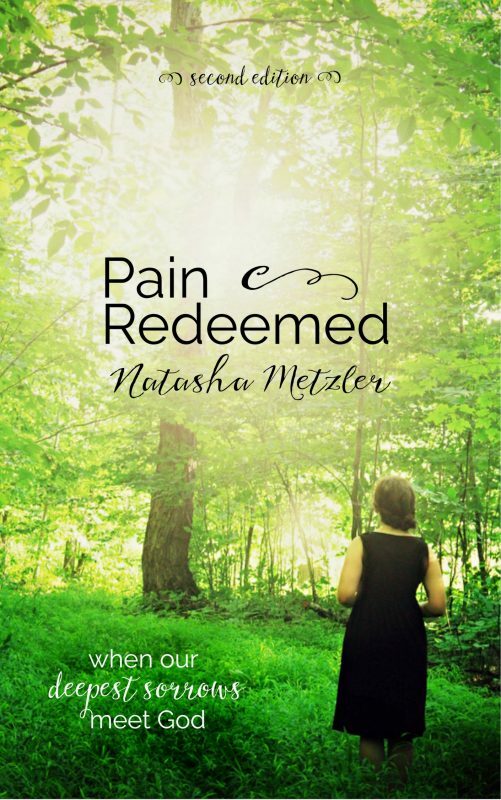 Natasha, this is profound: “When I reach out from my pain to offer her comfort in hers—and when she looks up from hers to comfort me—” If more of Christendom would do this, the world would know Jesus better. So glad to have found your blog–thanks for commenting on mine so I could!! Blessings! Oh, that the world would learn to know Him better! This is a great truth, Natasha. We buried a woman because of it. She believed the lie and took her own life leaving behind her husband and children. It shook the Christian community to the core and left us all wondering. Thank you for bringing this out into the open. Such a terrible tragedy! The Bible says that Satan comes to lie, kill and destroy. How clear the picture in situations like this. May we all learn to shine light into darkness, in whatever way possible. Beautiful post. It made me realize how often I am tempted to believe that lie. Thank you, Natasha. I have been feeling alone lately in my husband’s unemployment and in our current life circumstances, but so much of that comes when we cut ourselves off from others. We need to stay connected, but it’s one of the hardest things to do when we’re struggling. Your post encouraged me. Wow, such a timely post for me, bless you. Oh wow. This is incredible. (I got goosebumps!) And I totally agree with you. I have fell victim to those lies before, and it is a place I never want to go again. I love your point about how it is such a powerful lie in the fact that we think no one can empathize with us. I have been fostering community through my church as well as my online community– some folks say community can’t happen virtually but I disagree. Some of my best ministry cheerleaders and life supporters are only known through a computer screen. Blessings to you and thanks for the great words here! Oh, I agree that online community can be incredible. I know some of the most amazing women of God through blogs and online friendships. We’re working at turning those relationships into real-life ones too but in the meantime- God has blessed me through that avenue. Well put, Natasha! A large component of getting through personal pain is reaching out to others. Community is so important from many aspects, but Satan loves to feed us that “alone” line–and in our pain we tend to buy it hook, line and sinker! Oh, my, yes. Even being aware of it, I fall for it over and over and over… So thankful for a God who is patient and loving!